"Barbara is a master teacher who seamlessly integrates spiritual teachings (including the Pathwork of Self-transformation and Emmanuel) and psychological understanding with the body (through B.R.E.T.H. Work and Core Energetics) to help her students ground in reality. Barbara's piercing questions and tough love can move students to penetrate beneath their masks and defenses and truly get to the heart of the matter. She emphasizes that we are here to remember our true nature as Love, to recognize our addiction to fear and to invoke the faith and discipline required to truly show up and change the habitual behavior that prevents us from living as fully as possible. "If you have been working a spiritual path for a long time and still find it difficult to achieve your stated goals or desires, then chances are, there are places where self-responsibility has escaped and subtle insidious traces of blame exist. I know this was true for me, especially in the arena of marriage. It took a major heartbreak for me to surrender to God, on the spiritual level, and Barbara, on the human level, in order to pierce the veil that separated me from my heart's longing, to take responsibility for all the places I had said "no" to love and life. It's been over two years since working with Barbara on that level and the depression that plagued me virtually my whole life has been absent. I am able to accept life on life's terms, to be at peace with reality, and to love more deeply and fully than ever before. " 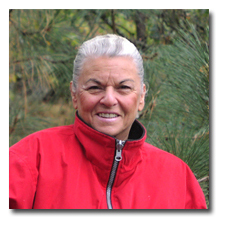 Barbara is a Helper and Senior Teacher in the Pathwork of Self-transformation, training people in United States, Italy, Australia, Brazil and Serbia; master teacher of Love and leader of Inspiring Spirit .... Barbara's practice focuses on dealing effectively with the deeper meaning of fear as the only addiction on the planet. The essence of this work is to treat the wounded self with a loving kindness that opens the door to the ultimate exploration of the relationship to self, other, and the God within. She leads seminars with Emmanuel, the Spirit Guide, who teaches that Love and Fear can not occupy the same place. Through her work, Barbara has learned to bring compassion to the human journey. Her love is her work made manifest. When combined with Wastu practices provided by Adriano Azzara, spiritual guidance is supported by physiological release.